I recently switched from the Thunderbird email client to Sparrow. When I removed the Thunderbird application from my computer I noticed I only had an additional 96 MB of disk space. What's up? I know I've got a ton of Thunderbird email taking up a ton of space on my hard drive still. 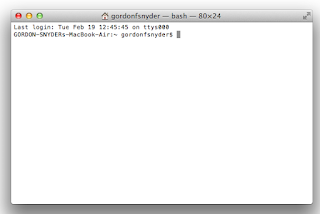 I search around using Finder and cannot see any of it. How can I remove it? Thunderbird (and Sparrow and thousands of other apps) are considered third party apps. When you delete them from the application folder you delete the application but commonly not any of the additional folders and files associated with the application. When removing an application like Thunderbird that means you are not removing the files and folders that contain old emails whcih can consume very large amounts of disk space. Open a Terminal window. 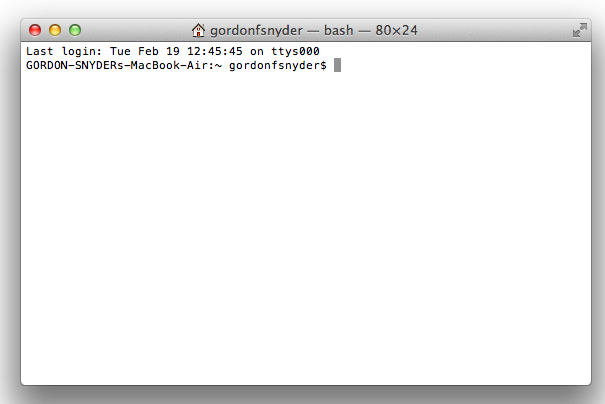 To open Terminal, click the Spotlight (little spyglass) icon in the upper right corner and search on Terminal. Terminal will be listed as an Application. Click it to open a window like the one shown below. Hold the alt key down and right click the Finder icon. Select Relaunch from the drop-down menu and you will now be able to see all the hidden folders and files on your computer. Be very careful and do not edit/delete/etc anything you are not sure of.